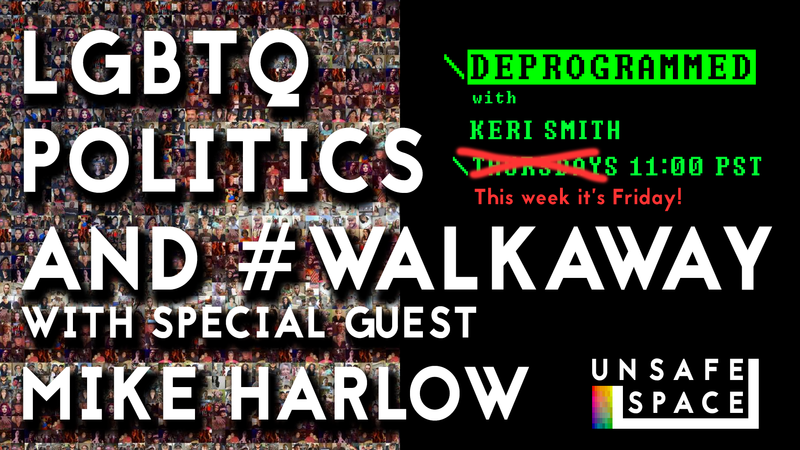 This week, Keri and Carter welcome Mike Harlow, #WalkAway advocate and creator of Cigarettes & Valentines, a subversive, politically incorrect, and brutally honest look at being gay and single. We’ll talk about the #WalkAway movement and how radical social justice ideology is actually hurting the gay and trans communities. Previous Post: [Episode 024] Pipe bombs and Political Rhetoric!